There’s a corny old saying ‘When life gives you lemons, make lemonade’ and equally, when life throws a terminal disease at someone you love, there’s a lot to be gained by turning the experience into a very personal and heart-felt book about the power and positivity that can be found in the last years and months of life. When Will Schwalbe’s mother drew the evil ‘joker’ in life’s pack of cards and was diagnosed with stage four pancreatic cancer, he and his mother took solace in reading and used books to help them express feelings that were sometimes too raw to approach head on. 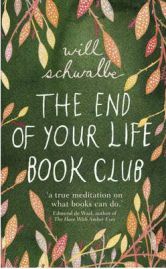 That book is The End of Your Life Book Club – a club that none of us will want to join but from which all of us can learn a lot about the power of the human spirit. Curiousbookfans spoke to Will to find out more. CBF: Your mother was a remarkable woman whose life was filled with great humanitarian achievements. Of which of the many great things she did do you think she was most proud? Will Schwalbe: I think she always saw herself as an educator first and a refugee advocate second. When I was growing up she was director of admissions at Harvard; then she worked for years in high schools; and only then discovered and devoted herself to the cause of refugees, as founding director of the Women’s Commission for Women and Children Refugees. In her travels to many of the world’s most dangerous places — Bosnia during the war; East Timor; Liberia, to name just a few — she always met with refugees, especially women and children. And when she asked them what they most needed the answer was always the same: health and books. Always both. So I think she was especially proud of her work highlighting both health issues (like women’s reproductive health) and education issues (like access to books and classes, even during wartime) for refugees. Though it’s important to add that she always wanted refugee voices to be heard, not hers; the organization she directed was set up to be a conduit for those voices. I should also say she was deliriously proud of being a grandmother. CBF: Which lessons do you think your mother would want readers to take from your book? Will Schwalbe: Mom would have wanted readers to be proud of themselves as readers — to realize that reading is one of the most important things you can do — it’s how you know what you need to do in life and how you join the human conversation. She would have wanted people to share books more, and connect over books, and realize that books are how we can all get closer to one another. And she also would have wanted readers to realize that with reading comes responsibility — if you read a book like THE KITE RUNNER by Khaled Hosseini, and are touched by it, you need to think about what you can do to help the situation in Afghanistan. It doesn’t have to be something huge — just whatever you can afford. But something. I think that Mom would have wanted for other people the same joy she got from meeting people from all over the world — in books and in life — and hearing their stories. And there are other lessons. Mom believed you should tell your family every day that you love them. CBF: When you decided to write a blog about her treatment, your mother wrote most of the posts but in such a way that it looked like you were the author. If SHE had written ‘The End of Life Book Club’ in which ways do you think her approach to the book might have differed from yours? Will Schwalbe: That’s such a great question, but I don’t think she ever would have written the book. She had a philosophy: “Not everyone has to do everything.” And she just didn’t see herself as a writer. That said, I’m sure if she had written it, she would have focused on herself much less, and written far more about the people she met on her missions around the world as a refugee advocate, along with lots more statistics about refugees. And probably a lot more about the grandchildren, too. CBF: When you were writing, who did you have in your mind as your prospective reader and did you write to inform, entertain or comfort that reader? Will Schwalbe: This isn’t an easy question to answer as my main desire was simply to get the story down, to continue the conversations, and to tell what happened. But I did hope that I was communicating with people who love books — who have taken joy and comfort from books, who have learned from books, and who simply love reading for all sorts of reasons. I see us all as a vast community and wanted to share my store and encourage others to do the same — stories about how reading can be part of life, and not an escape or distraction from it. CBF: You tell us that Mary Anne loved to read the end of every book first to see if it was worth reading. Any book about pancreatic cancer can only have a rather inevitable and sad ending. How does that change the way you approach writing such a book? Will Schwalbe: Yes, Mom did always read the end of a book first. And I say in mine that when you have pancreatic cancer of the type Mom had, diagnosed after it has already spread to other organs, then you do, almost certainly, know the end of your story, as this is the most lethal type of cancer. So when Mom and I started our journey together, we knew where it would end, and I wanted the reader to know that too, right from the start. But Mom always said that knowing the ending didn’t decrease her enjoyment of a book, it allowed her to savor it. She wasn’t racing ahead to see what happened so she could enjoy the characters and the prose. With this book, I felt that once I got the ending out of the way at the start, as it were, I could spend more time focusing on our conversations and more time introducing the reader to various characters and could even tell some funny stories. Because there were lots of fun times over Mom’s last two years, in addition to the more difficult ones. Mom knew she was dying, but she wanted to live while dying. And I tried to reflect that in the way I structured the book. CBF: Could you tell me a little bit about the current status of the Afghan library which your mother worked so hard to build? Will Schwalbe: I’m delighted to see that the main building of the library/research center is fully completed. They are just working on the interiors and hope to open before the end of the year. And as for the traveling libraries — there are now more than 200 book box libraries spread across all 34 of Afghanistan’s provinces. And there’s even a special series of books aimed at women and children included in those boxes; these are important books translated into Dari and Pashto, and each one says on its copyright page, “In Honor Of Mary Anne Schwalbe.” It was one of the few official tributes Mom would allow. CBF: I’d like you to pick just three books (I am greedy) from your ‘End of Life Book Club’ booklist. One to comfort, one to inspire and one just because it’s a fantastic read which would take any reader’s mind off their problems – whether they be cancer or any other aspect of life. What would those three books be? 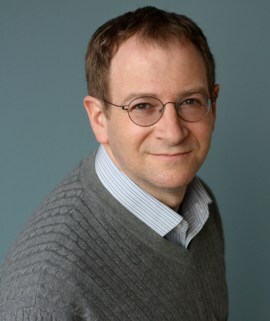 Will Schwalbe: I think one of the miraculous things about books is one person’s comfort is another’s escape, one person’s inspiration is another’s “simply fantastic” read. That said, I think I might pick Wherever You Go, There You Are by Jon Kabat-Zinn to comfort; The Lizard Cage by Karen Connelly to inspire; and Crossing to Safety by Wallace Stegner for all sorts of reasons, including because it’s a fantastic read (as are the other two books I mentioned). I could come up with so many choices for each type from the books I discussed in my book, and from other books I’ve read before and since. Just consider these three suggestions made from many possible ones. No Comments on "Q&A with Will Schwalbe"